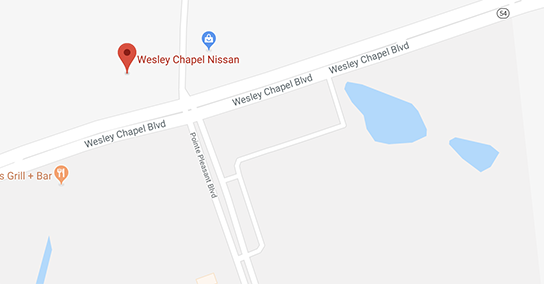 Wesley Chapel Nissan is the perfect destination if you are looking for a great deal on a new Nissan or used car near Tampa and Land O Lakes, Florida. 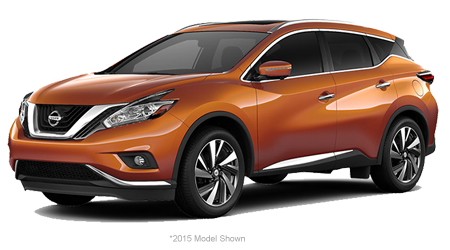 Wesley Chapel Nissan is a full-service car dealership offering Nissan parts and accessories, service on-site, auto loans and Nissan leases. 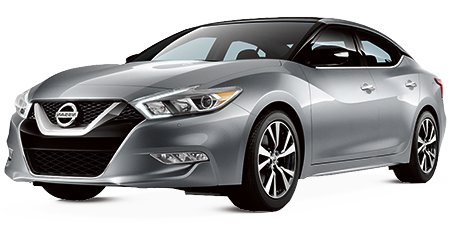 At Wesley Chapel Nissan you will receive superior customer service. Nothing is more important to us than providing our customers with the best service possible. This is who we are. It’s not just about selling cars, it’s about giving back. 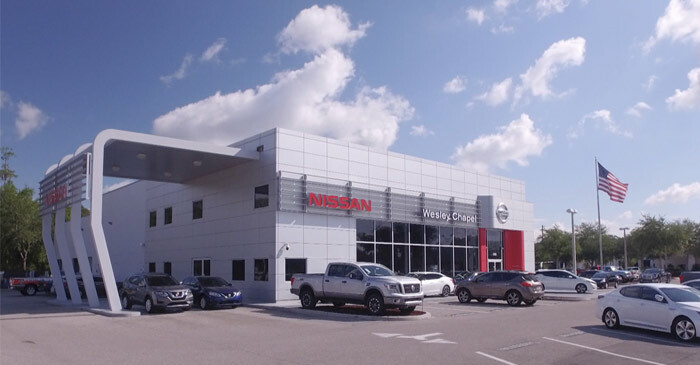 When you make the drive to Wesley Chapel Nissan, you will find a staff of sales and service professionals that focus on helping you get the answers you need to make an informed purchase decision. 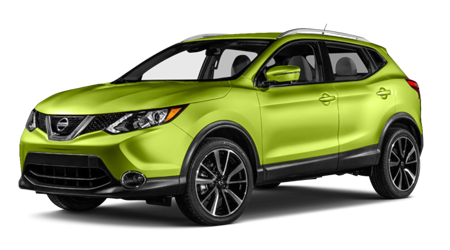 On our dealership lot in Wesley Chapel, Florida, you will find a huge selection of new Nissan models for sale. 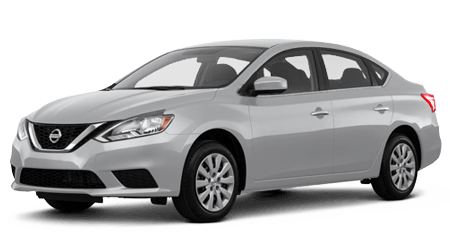 Improve your morning commute with a reliable and fuel-efficient Maxima or Sentra. If you're looking to increase your payload and towing capacities, the Nissan Frontier is the pickup truck for your garage. 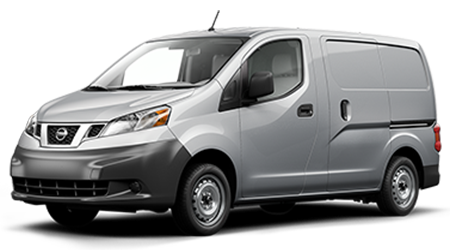 With our comprehensive inventory, whether it's a car, truck, SUV, we are sure to have the Nissan for you! We welcome you to schedule your test drive today! 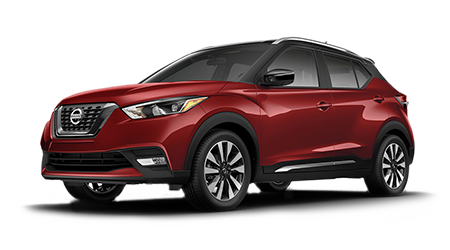 Wesley Chapel Nissan stocks a wide selection of used cars, trucks, SUV’s for sale as well as certified pre-owned Nissans. We are proud to be a MotorTrend Certified Used Car Dealer in Florida. Cars that receive the MotorTrend Certified Pre-Owned designation are some of the highest quality used cars available in the entire Wesley Chapel - Tampa area. 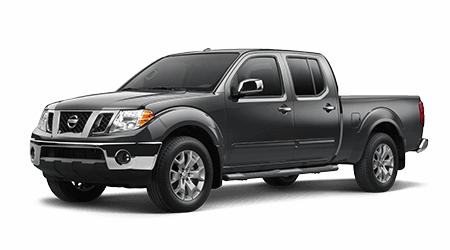 Shop new and used trucks including Nissan Frontiers, Nissan Titans, and Custom Truck Packages. 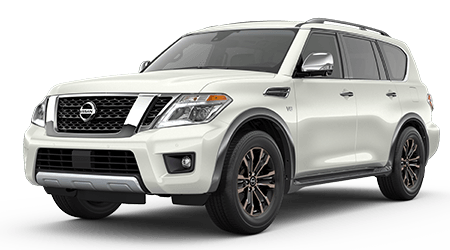 Our truck specialists at Wesley Chapel Nissan have extensive knowledge and will work with you to ensure you buy a truck outfitted for your needs. 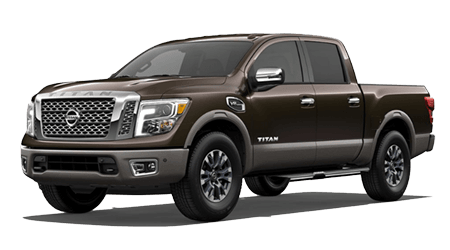 Whether you are looking for the new Nissan Titan XD truck or a quality used pickup truck, our team will walk you through the process. If you are in the market for a new Nissan near St. Leo and Zephyrhills, we make your trip to our dealership worth the time. Don't see the exact vehicle you are looking for on our website? Use our CarFinder service and Wesley Chapel Nissan will locate the vehicle you have been searching for! 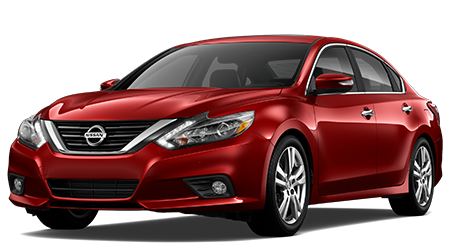 Good Credit Bad Credit or No Credit Loans on New & Used Vehicles at Wesley Chapel Nissan. Wesley Chapel Nissan understands that financing a new or used car can be frustrating at times. We will work with you regardless of your credit history. 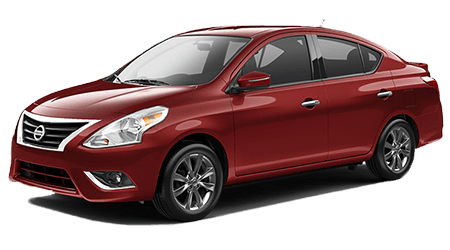 If you have good credit, bad credit, or no credit, we want to help you drive home in a new Nissan or a quality used vehicle. To save time before arriving at our dealership, you can fill out an online car loan application and find out ahead of time what type of loans are available for your particular situation. 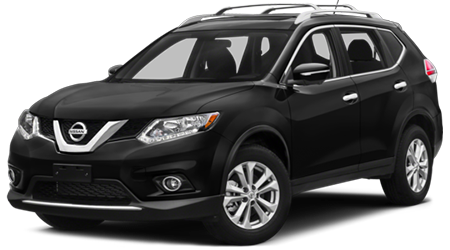 At Wesley Chapel Nissan our finance specialists will help you with any credit repair issue you may have. We simply refuse to let bad credit or no credit prevent you from getting the best auto loan available. Though we are located in Wesley Chapel, Florida, we are proud to serve customers from all over the Tampa area. 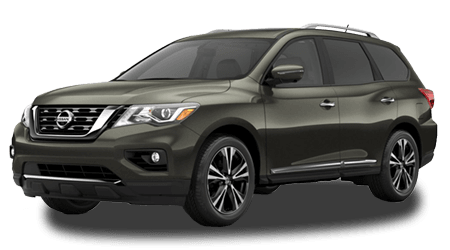 When considering our dedicated team of professionals, it’s no wonder that Wesley Chapel Nissan is the preferred choice for many buyers searching for either new or pre-owned Nissan vehicles near Lutz, St. Leo, and Zephyrhills. Whether it’s auto repairs or service on your vehicle, buying a new Nissan or a quality used automobile, we strive for 100% customer satisfaction regardless of your needs or situation. Call us today at (813) 751-1300 and make an appointment with one of our sales professionals today and begin your journey towards a new Nissan or quality used vehicle with Wesley Chapel Nissan. LIFETIME WARRANTY AVAILABLE WITH EVERY NEW NISSAN WE SELL! 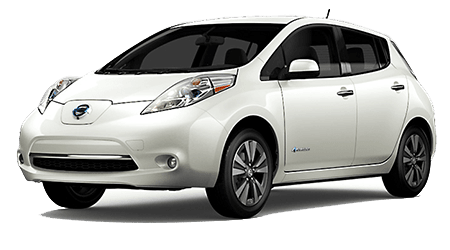 TAMPA BAY'S EXCLUSIVE LIFETIME WARRANTY NISSAN DEALER!